In this podcast, we had the privilege to have an in-depth discussion with Lior Sade, a self-made successful salesperson and marketer, who managed to scale his design studio through Elementor. Lior completed his MBA in administration and marketing and had a respectable position in sales. But then he found his real passion — design. How did this switch occur? Why did he decide to build a business with his wife? How did Elementor become his #1 go-to solution? Listen to the full interview, and read about the major takeaways that followed. Don’t be afraid to make changes. Lior had his fair share of experiences with groundbreaking changes: when he switched from working from home to an office or when he expanded and hired new employees. According to Lior, even though it’s complicated and intimidating to experiment with something new, it opens up endless opportunities to grow in your industry and niche. The combination of an excellent server, a page builder, and a theme are crucial for any WordPress development business. Investing in premium plugins and unique fonts is another essential factor to set yourself apart from others. Using these small differentiators that are easy to incorporate, it helped Lior grow his business and reach more clients. 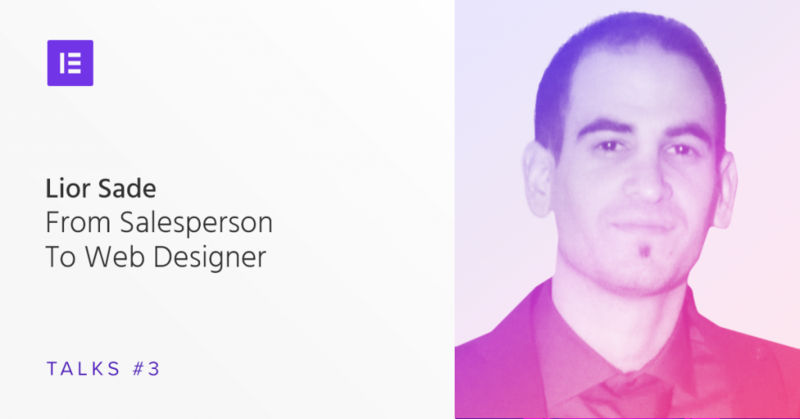 As a self-educated designer, Lior managed to expand his skillset as well as his client base through the various WordPress community groups and forums. He made the right professional connections, particularly through Facebook. He encourages users to get involved and share their skills and experience with other members, as this pays off sooner or later. Once you build your first pages, you’ll get more comfortable with your work. The natural flow of a learning curve will help you earn confidence. Elementor will improve your workflow and will help you achieve impressive results. How do you incorporate Elementor in your own business and workflow? Please let us know in the comments below. Some really good suggestions in this article. I think a lot of the time a reliable host is missed out but this is critical to a websites success. Moving my website http://www.pixelperfectwebdesign.co.uk from shared hosting to cloud hosting took the load time from 6s to less than 3 with a lot of the time managing just over 1 second. Elementor is the go to page builder for me, I really like the additional addons that are available many of which like elementor have a agency/unlimited sites options. Thanks for sharing – that’s great to hear. May I read the transcript? I would be grateful. Oral lessons are gone as soon as my memory fades. You want to know what is still missing? Sticky Header transition from transparent to color options and or any sticky topography transition options of any kind. While all of the new features are great, and I look forward to more of them, but without including the basics still needed it’s a major pain for developers to even consider using the sticky headers option when it lacks the other half of what is still needed + it’s not easy to just css all of this either.